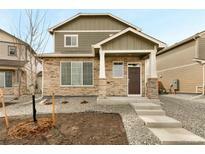 Find Parker, CO New Homes for sale. View Photos, Maps and MLS Data Now! You don't want to miss this! MLS#2598502. Keller Williams Realty Downtown LLC. The master suite is very luxurious with a coffered ceiling and high end luxury bath with dual granite vanity, feature soaking tub, tiled shower with bench, and a great walk-in closet. Extended covered back deck. MLS#6562336. COLDWELL BANKER RESIDENTIAL 24. Olde Town Parker - Come see us today before this Colorado farmhouse is gone! MLS#3065957. Keller Williams Preferred Realty. Lincoln Creek Village - Photos are representative, not of actual home. Builder 2-10 Limited Warranty. MLS#7868581. D.R. Horton Realty, LLC. Lincoln Creek Village - Builder 2-10 Limited Warranty. Photos are representative, not actual. MLS#3925592. D.R. Horton Realty, LLC. Lincoln Creek Village - Call listing agent to learn more about builder and preferred lender incentives! MLS#5595840. Redefy. Quick move-in and possession is available -- don't miss your chance to own at Vivant! MLS#5260925. Keller Williams Realty Downtown LLC. Pradera - Make time to see this exceptional design by award winning Renaissance Homes. MLS#1593572. The Berkshire Group. Known for their energy-efficient features, our home help you live a healthier and quieter lifestyle while saving thousands on utility bills. MLS#2184565. Kerrie A. Young (Independent). (estimated home completion May 2019) (taxes are estimated due to home not yet fully assessed) MLS#7396722. MB JD AND ASSOCIATES. Three large well appointed bedrooms. With extended covered deck. 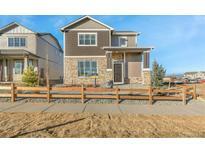 MLS#7938179. COLDWELL BANKER RESIDENTIAL 24. There are three additional spacious bedrooms and a fantastic loft space as well. MLS#9957304. COLDWELL BANKER RESIDENTIAL 24. Relax and enjoy Colorado's famous outdoors on your extended covered deck. MLS#5132835. COLDWELL BANKER RESIDENTIAL 24. A charming front porch adds curb appeal while an extended covered deck adds versatility. Backs to open space. MLS#5748470. COLDWELL BANKER RESIDENTIAL 24. Extended covered back deck and backs up to Open Space! MLS#9268228. COLDWELL BANKER RESIDENTIAL 24. List price subject to change without notice. MLS#8083964. COLDWELL BANKER RESIDENTIAL 24. (estimated home completion May 2019) (taxes are estimated due to home not yet fully assessed) MLS#4444045. MB JD AND ASSOCIATES. (taxes are estimated due to home not yet fully assessed) MLS#4298534. MB JD AND ASSOCIATES. Anthology - Completion date approx for late summer. MLS#4842068. MB TEAM LASSEN. Lincoln Creek Village - Call listing agent to learn more about builder and preferred lender incentives! MLS#8049169. Redefy. Anthology - Great open floor plan with loft upstairs makes entertaining easy and fun! Approximate Summer Completion. MLS#1631193. MB TEAM LASSEN. Anthology - Great open floor plan with 4 bedrooms and laundry upstairs. MLS#6172272. MB TEAM LASSEN. Anthology - Approx. Fall delivery MLS#8754148. MB TEAM LASSEN.